After hanging up his boots for Hutt Old Boys Marist Steve Newson decided to pick up refereeing in 2011 in order to stay in the game. Steve first became involved in rugby when he was 18, playing for HOBM’s Under 21 side (nowadays referred to as the colts). At 26 he became involved in coaching with HOBM for a number of seasons before moving his coaching to Petone where his son was playing. “My boy played for Petone so I was involved with coaching Petone and spent a year coaching under 13s, but my boy came through all the grades and so I was involved with his rugby right through there as well”, said Newson. One day when watching a game of junior rugby Steve thought the referee wasn’t doing a good job, it was this moment that sparked his interest. “We told him maybe you should be a bit fairer, and he said if you can do better you can do it and I said fine, took the whistle and went and did it”. 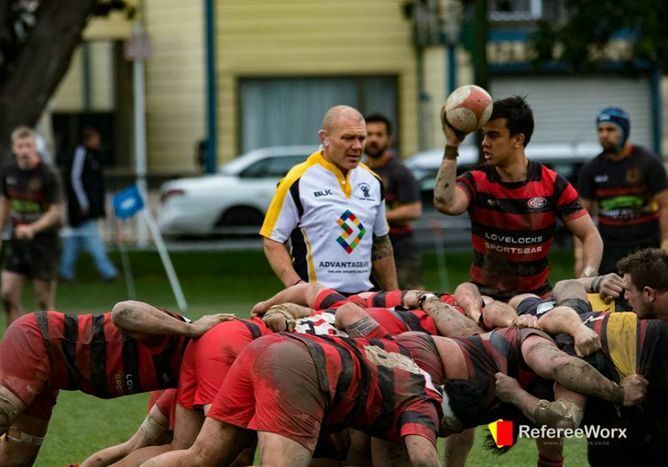 In 2011 Steve registered with the Wellington Rugby Referees association and will soon referee his 50th game of Premier rugby.